A definite pungent smell that intensifies as it is whipped up. Green notes with the high notes of terpenes. There are notes of many trees, but stronger and green herbal in the way tea is, but somewhat similar. Distinctive, if you’ve smelled it once and know what it’s from, then you should be able to identify this marijuana soap similarities. I worked on this scent for about a year now. It is really hard to come close to the real thing without putting the real deal in there. So this is Monica’s weed strain. Soak your shave brush in a bowl or cup filled with hot water for a few minutes before your shave. Apply a warm, damp towel to your face (or splash face with warm water) to prep your face for shaving. Apply another hot towel to your face for a few seconds. After the brush has soaked, gently squeeze out excess water, still leaving the brush mostly wet. Apply the brush to the soap in fast, repeated circular motions to coat the brush bristles well. Shave and rinse face thoroughly with cool water. For an optimal experience, finish with Van Yulay After Shave Splash then followed After Shave Balm by Van Yulay. · Mango Butter- has been used traditionally in India for hundreds of years to soften skin and restore elasticity and as a balm for dry, cracked, rough, and calloused skin. 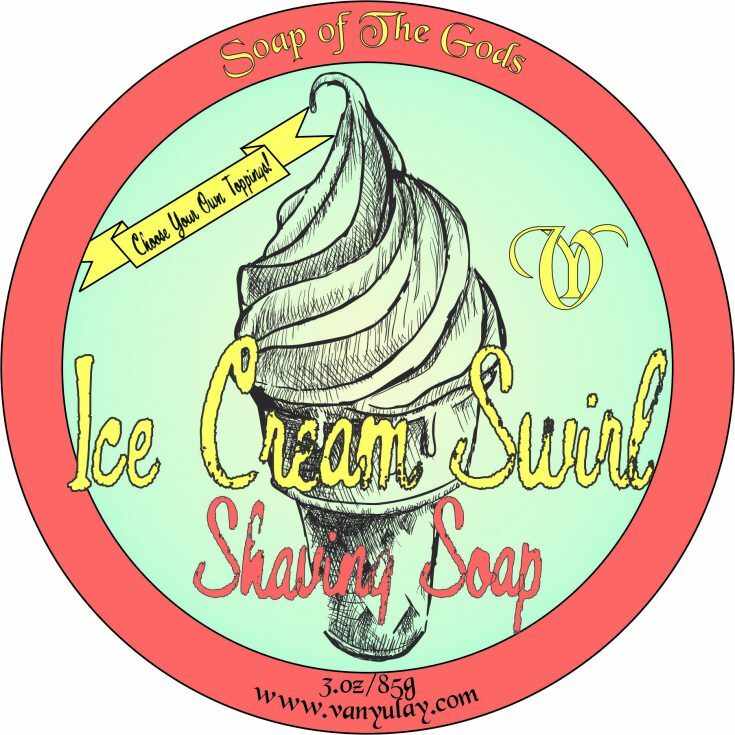 · Lanolin Oil – Lanolin-based shave soaps work well if you have extremely dry skin. Lanolin falls into the lipid-rich emollient class of moisturizers. One of the causes of dry skin is a lack of lipids, which allows water to escape. Lanolin fills in those gaps, preventing future water escape. It is typically mixed with a humectant, which holds moisture to the skin. · Tallow – Tallow does a great job of giving shave soap a nice rich creamy lather and good conditioning properties. Made with Stearic Acid, Aloe Vera, Coconut Fatty Acid, Palm Stearic, Glycerin, Potassium Hydroxide, Castor-Coconut-Lanolin-Tallow-Mantea-Neem-Sea Buckthorn Oils, Glycerin,Mango-Butters, Extracts, Poly Quats, Sodium Lactate, Allantoin, Green Tea, Silica, Liquid Silk, Kaolin Clay, EO’s and Fragrance.